Liyla and the War of Shadows is a free game that you’ll be able to complete in ten minutes. It’s also a game that I consider to be essential, and the most important game that you will play in a very long time. Developed by a Palestinian, Rasheed Abueideh, Liyla got a bit of free marketing from Apple, which initially rejected it on the basis that it’s “not a game,” before changing its mind on that and allowing the game onto the hallowed App store a day or so ago. Hopefully that little bit of controversy helps get some more people to download it, because otherwise it's the kind of game that would have probably been ignored, and it's simply too important to deserve that fate. 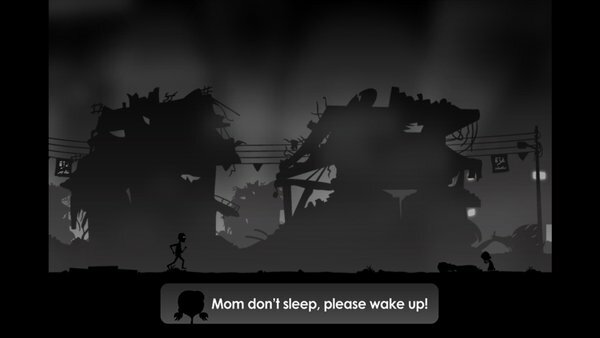 In the game, you play as a father living in Gaza, trying to see his family to safety through an attack on the city. This is something that actually happens in the real world, and with startling frequency. The game lasts for ten minutes, as I said, so you can probably figure out where it’s going without me spoiling the story on you, but in that time you’ll do some basic puzzle platforming, as well as be faced with a couple of binary decisions to make. Don't let those decisions fool you, though, because the outcomes won't change, regardless of the decisions that you make; this is as effective as a commentary on how hopeless civilians feel when trapped in a warzone as anything else you’ll come across. It’s obviously an anti-war game, though rather than preach from an cold, dry, academic soap box, Liyla instead distils its anger towards war down to the human cost of it. The characters that you’re in control of are tiny, and completely dwarfed by the death and destruction going on around them. There’s no agency involved; you’ll want to try to find ways to help, only for any opportunities to do so be denied to you. Again I don't want to give spoilers because it's something that should be experienced first hand, but there's a moment of innocence destroyed that is deeply affecting and disturbing, and the unflinching, but understated, portrayal of it is all the more distressing. This is a game that doesn't need big explosions or substantial bloodletting to carry its point - in fact, the deadpan way in which the horrors are delivered suggests a chilling normalisation of violence that Palestinians exist within themselves, deepening the impact yet further. The game uses a similar black-and-white, high contrast aesthetic that we saw in games like Limbo, with the occasional use of colour invariably representing something deadly to the small family – and without giving spoilers away, that’s one way the horrible twist at the end of the game has an even greater impact than it might otherwise; it completely subverts expectations. You wouldn’t think that such an abstract and impersonal art style could have an emotional impact, but it does. The real-world Palestinians feel disempowered and that the international community depersonalises and rationalises its demonisation of them by seeing them as faceless numbers – out of sight, out of mind. This art style reflects that, providing us with characters that lack definition or design. That a few lines of dialogue and some simple, but gut-wrenchingly powerful animation are forcing us to take notice is a master class in characterisation. This is a deeply personal game for the developer. 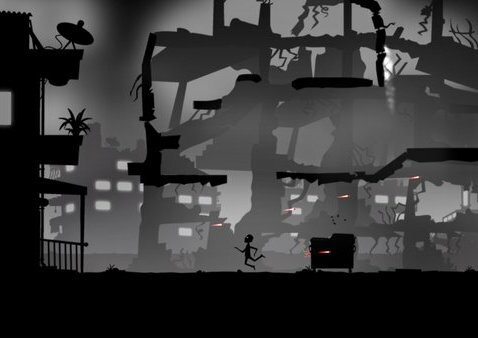 It’s based on the realities of life in Gaza, and, yes, it’s a highly political, highly potent game. That’s why people should play it. With so much of the ideology that we’re exposed to here in the west telling us to treat what goes on in Palestine with cold indifference, to have here a game that has the most simple of messages – to remind us that so many innocent people are hurting - is something that everyone should experience. Then they might start to care. There’s no point in assigning scores to this game, or “reviewing” it, because any conventional review system, including our own, is hopelessly inadequate in expressing the value that Liyla provides us. But it is, in a very real sense, what people are talking about when they talk about the potential of what games, as works of art, can achieve. It might only be ten minutes long, but not a second of that is anything short of being rich, meaningful, and compelling.